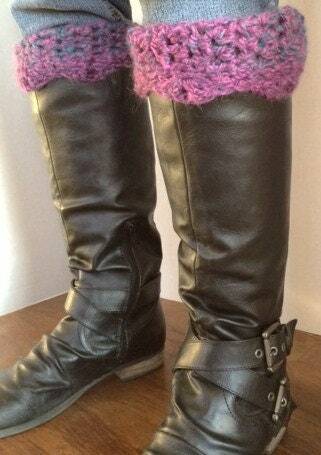 These Cozy Boot Cuffs will keep you warm and comfy all day. 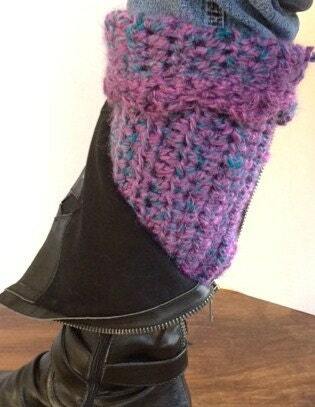 They look great with leggings and jeans and are sure to enhance any outfit! 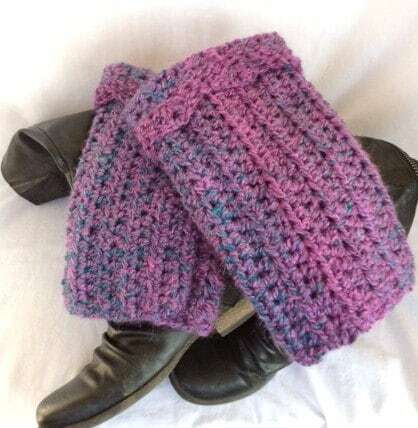 They are made of an Alpaca wool-blend and are a lovely shade a purple and turquoise. 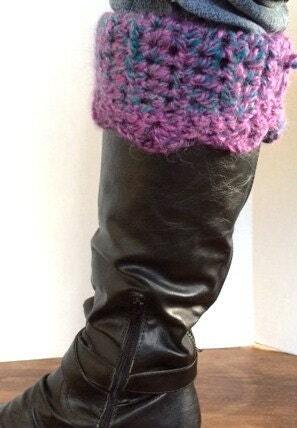 They do come in a variety of colors and you are welcome to request a special color. They also come in a variety of natural fibers as well as acrylic blends for those who may prefer. Custom sizes are also welcome.